Abstract: Recent efforts to preserve the Pyrrhus Concer homestead, the home of a famous Long Island whaler and prominent African American community leader in Southampton, exemplify the barriers faced by historically marginalized communities seeking to protect key local history sites. Arguing that Long Island would benefit from a more reflective discourse about preservation, this paper illuminates structural issues inherent in the process of preservation that disproportionately undermine African American history. Unfortunately, in this case, discrepancies between adopted laws, zoning codes, and non-transparent decision-making ultimately allowed for the destruction of the house. This regrettable outcome highlights the need to strive for more inclusive approaches to historic preservation. Pyrrhus Concer, a celebrated African American whaler, philanthropist, and ex-slave, contributed significantly to this little-studied history. His life story can provide us with a lens to re-examine northern slavery and the contributions of African Americans to Long Island’s economic development. Within the whaling industry, African Americans provided various skill sets, including on whaling vessels (such as steerers and harpooners) and in ancillary jobs that supported the whaling fleet (such as shipbuilding and blacksmithing). Many of these men had lives both on land and at sea. 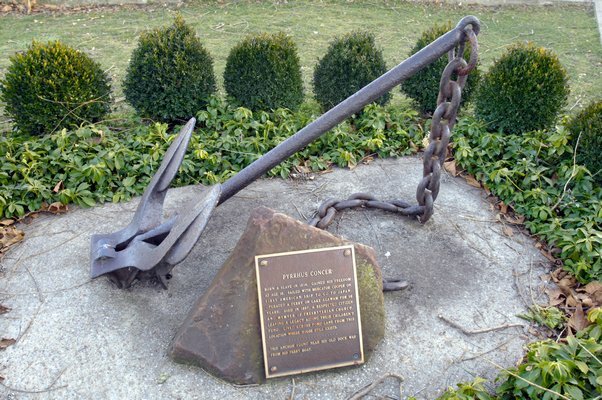 In Concer’s case, he served for many years as a whaler–making history as one of the first Americans (and the first African American) to sail into Tokyo Bay—before he settled down in Southampton, leaving a durable legacy of good works in the community. Today, local residents, inspired by his life, seek to share his story and preserve not only his homestead but also his contribution to history. In the recent futile attempt to save his historic home from demolition, however, community members faced challenges that highlighted gaps between laws and zoning codes and access to the pathways designed to implement historic preservation plans. As one of the participants in the effort to preserve the Concer Homestead, I hope that this reflection on our experience will contribute to future discourses about the preservation of the African American past. Challenges faced by local community members include inherited institutional structures that need to change if a more inclusive history is to emerge. Figure 1. Pyrrhus Concer Homestead, circa 2014. Courtesy of Southampton Press. Pyrrhus Concer was born on March 17, 1814 to an enslaved mother, Violet; following her status, he too became the property (whether technically a slave or an indentured servant) of his mother’s owner Captain Nathan Cooper in Southampton. Subsequently, Concer was sold to Mr. Elias Pelletreau II for the sum of $25.00. Five years old at the time of his sale, Concer had no choice regarding his transfer, leaving his mother behind when he was still a young child. Even after slavery ended in 1826, Pyrrhus Concer apparently remained in the Pelletreau household until he was about 26 years old. After working as a farm hand, Concer shipped out on a whaling vessel, like many young Long Island men. He advanced from a green hand in 1832 to pilot, eleven years later, of the whaleship Manhattan. In 1845, he had his most notable maritime adventure when he and his shipmates rescued some shipwrecked Japanese sailors. The Manhattan, with Concer aboard, delivered the Japanese sailors back to their native land–then a closed society. By spending long periods working at sea, Concer was able to improve his economic situation back home. After inheriting his first two acres of property from his grandmother in 1843, he continued to increase his property holdings over time. By 1850, he was recorded in the census as a seaman and head of household in Southampton. Clearly, he held his property dear because in 1891 he pursued litigation to protect his homestead. Not only did he deeply value and carefully manage his real estate holdings, he ensured his personal sovereignty and full rightful status as a landowner. Figure 2. Pyrrhus Concer, undated. Courtesy of Southampton Historical Society. Since the Reconstruction Era, the concept of “freed men and free land” have been closely linked in America. Although predominantly associated with the South, the connection between land ownership and political rights also resonated in the North. In 1821, New York chose to retain property restrictions on African American men seeking the right to vote. In response, for example, Weeksville, Brooklyn was founded as an autonomous African American community and sought to establish African American rights and support their social institutions. In Concer’s case, thanks to the initial inheritance from his grandmother, he was able to build on that foundation to expand his holdings. His subsequent purchases of land and his efforts to preserve clear title were certainly informed by relationships between land and rights including citizenship, which was still not granted to African Americans at this point. Pyrrhus Concer was many things–a son, brother, husband, and, by all accounts, a great neighbor. He was also a devoted Christian and a member of the Southampton Presbyterian Church. His lasting legacy as a philanthropist has been cemented at his church where he started a lasting Christian education scholarship fund. He also bequeathed funds to the American Seaman’s Friend Society. Pyrrhus Concer died on August 23, 1897 and is interred in the old North End Burying in Southampton. 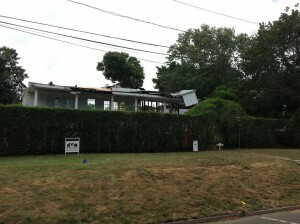 Until recently, his home still survived on Pond Lane in Southampton. While a modest dwelling, it was a rare surviving example of Long Island vernacular architecture, similar to the few documented (mostly no longer extent) 19th century African American homes. 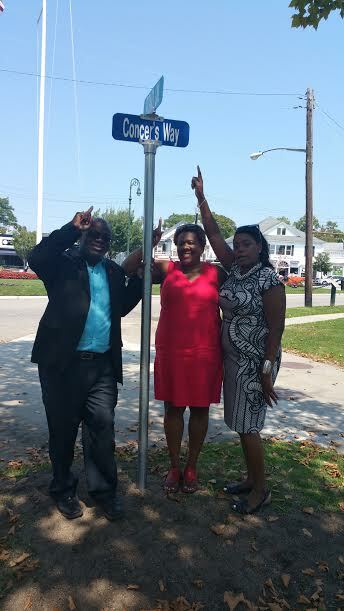 Moreover, its provenance as the homestead of a prominent African American community member made it meaningful and significant to many residents of Southampton. On October 1, 2013 the Pyrrhus Concer Action Committee (PCAC) was formed with core members consisting of the author, Brenda Simmons, Tom Edmonds, Lucius Ware, and Sally Spanburgh. Our mission was, and is, to preserve the historic structure at 51 Pond Lane that was Mr. Concer’s homestead, and, as such, his legacy. The committee is also comprised of concerned citizens and volunteers. Together PCAC promotes the preservation, enhancement, and long-term sustainability of Pyrrhus Concer’s House as a rare historic resource that embodies African American tradition and choice. PCAC seeks to combine access and education so the material contributions of this house, so emblematic of Concer’s achievements, become a living part of community heritage. The creation of this committee by the founding members came about in response to a public hearing held by the Board of Architectural Review and Historic Preservation (ARB) on September 25, 2013. The hearing sought community input regarding a Certificate of Appropriateness for the demolition of 51 Pond Lane, in the Village of Southampton, County of Suffolk. The property was known to be Pyrrhus Concer’s Homestead, situated across from Agawam Lake where a lasting monument to his memory still stands. 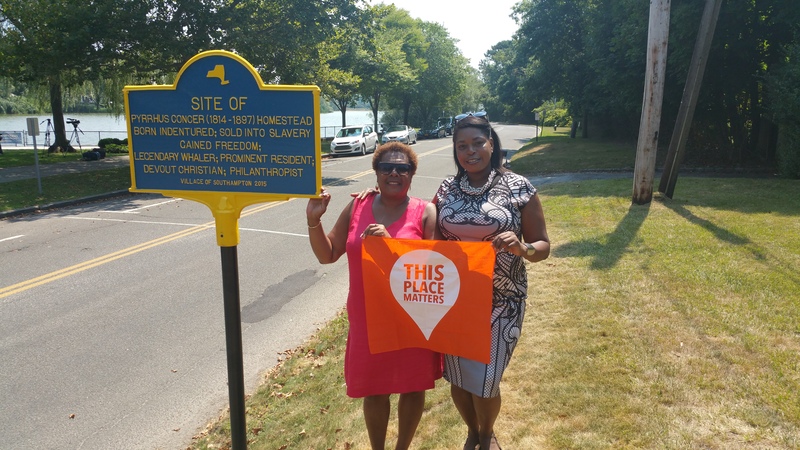 Upon leaving the hearing it was apparent that we, the greater community of supporters of the preservation of local African American history, needed to organize an effort to educate and advocate for the preservation of Pyrrhus Concer’s homestead. The Concer Homestead was privately owned, and its owners wished to tear down the structure in order to build a new house on the land. Mobilized to save the house, the PCAC garnered local and regional support but the movement proved unsuccessful. There were a lot of executive sessions and private meetings that locked out both the PCAC and the general public from the negotiation process between the homeowners and the village of Southampton. In response, we even instituted civil disobedience with no avail. After numerous postponements, hearings, conferences, and testimonials in favor of preserving the house, no one could have imagined the outcome. The property owners gained $1.55 million in the transaction, having purchased the 0.82-acre property at 51 Pond Lane in Southampton Village for $2.75 million in 2013. . . At the January meeting of the Southampton Village Board on Thursday night, officials unanimously approved a resolution to refund $18,750 in building permit fees to the property owners, after receiving a letter from the owner dated December 15 withdrawing the application to develop the 51 Pond Lane property. The .82-acre property has also been listed for sale online by Corcoran Real Estate Group for $4,995,000 since November 26. . . After several months of public debate, the ARB denied the homeowners a certificate of appropriateness to demolish the structure, which led to a $10 million lawsuit filed against the village claiming property rights were being denied. In May, both the village and the homeowners reached an agreement on the property, and the village was able to go into the house to salvage historic artifacts before the house was ultimately demolished in August of this year. Figure 3. Demolition of Pyrrhus Concer Homestead, 2015, Southampton, author’s photo. The Southampton Town Board agreed on Tuesday to purchase the former Pyrrhus Concer property in Southampton Village for $4.3 million, using Community Preservation Fund revenues. Most troubling, all of this occurred after community voices were excluded from multiple layers of decision-making. 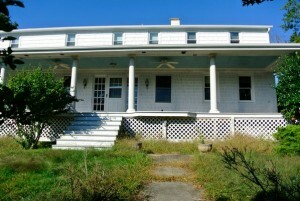 Since the community was unable to participate in determining what professional expertise was necessary to evaluate the property, the PCAC could not ensure proper recognition of the house as a notable example of African American vernacular architecture. The PCAC was cognizant of the possibility of losing the physical, brick and mortar fabric of Pyrrhus Concer’s homestead but continued to be vigilant. Our plan included, at various points, reaching out to multiple levels of government and even private foundations to purchase the house or find another suitable property where it could be moved. This demonstrated there were other possibilities for the property and its future. Systematic exclusions of non-elite history do not allow for subsequent correction since the results cannot be undone; in this case, the essential integrity of the Concer Homestead as a historic structure was destroyed. Even attempting to reconstruct salvaged architectural fragments will never bring back the house as it once existed. The larger ramification of this destruction is the denial of marginalized people and their stories. Excluding historic sites relevant to marginalized people from the preservation process results in their erasure from the historic landscape. If the trend in historic preservation is towards recalling histories other than only those of elite white men, then all steps of the process, particularly at the local level, need to be open to the larger community. Although trending away from dominant white narratives of history, historic preservation still has significant barriers for other cultural traditions. The Pyhruss Concer property is a prime example of how decisions have emanated from a colonized perspective. The Concer property did not conform to perceived cultural standards of historical importance, which typically overlook structures derived from African American and other non-elite architectural traditions. This placed the Concer house in danger unless an expert in local vernacular houses, including specifically in African American traditions, was consulted. The lack of deeper knowledge about the Concer property was the primary reason that the site had not been individually listed as a contributing property within its neighborhood’s existing historic district. As Margalynne Armstrong has written, “From the African American perspective – the perspective of the excluded – the predominance of the exclusionary features of private ownership has been experienced as oppression rather than autonomy.” Systemic “-isms” (racism, sexism, and classism) too often have been normalized in our institutions, hindering a diverse history from being told. Rather than be blinded by these “isms,” we must include different perspectives and allow people to tell their own stories. Generally, African-American history has been reduced to polar extremes, diminishing content and lives in the process. At one extreme, it is subjugated to the institution of slavery in which “African Americans are often referred to as a monolithic group with a single mind and uniform agenda, rarely with consideration given to the communities with which we personally identify.” At the other extreme, it focuses on the celebration of individual accomplishments. Yet the history of African-Americans in this country is complicated, painful, difficult, and not completely understood. The demolition of the rare and unique Concer property could be a teaching moment not only for local, regional and state history but also for global history given Concer’s global connections. History is unbalanced, has gaps, isn’t 100% accurate. Nevertheless, we have the opportunity and responsibility to right the wrongs, to disrupt conscious (and unconscious) biases of current systems, and to make sure history is inclusive. The misrepresentation of African-American history will continue if we don’t make a stronger effort to preserve what we know and to protect material evidence of that past. Much of our country was built by the forced labor of marginalized people and much of the wealth accumulated was a result of their exploitation. Yet too often, history has been written by and from a wealthy white male perspective. According to a recent report published by the National Trust for Historic Preservation, “there is a common perception among the general public that historic preservation is only about saving sites associated with rich white men’s history. Historically, there’s truth in that perception; preservation began as an attempt to memorialize the founding fathers.” Indeed, this priority has long dictated what was deemed to have architectural merit, thereby systematically excluding sites of significance to marginalized people which are important to our shared history. The global issues of the twenty-first century will include resource scarcity and resource allocation. For environmental, political and – dare I say? – ethical reasons, current discrepancies in resource consumption and contamination will continue to be challenged, and solutions cannot much longer be deferred. The debates and resolutions will take place on local levels, as well as national and international scales. African American communities must position ourselves so as to be able to create solutions that address our varied needs and concerns. History should be considered one of the scarce resources where current discrepancies must be rectified. In deciding which historic structures warrant preservation, we must also qualitatively include oral traditions, archaeology, and other non-traditional sources. To rely solely on archives is inadequate since marginalized people generally didn’t keep records or diaries and were often overlooked or incorrectly recorded in official documents. sign for “Concer’s Way,” Southampton, author’s photo. The event, street sign and plaque were all victories–no doubt. But how often do we walk by and miss these signs? After all the Pyrrhus Concer monument in Agawam Lake, across the street from his homestead, went largely unnoticed for decades, until the recent crisis brought renewed attention to his historical significance. Having celebrated these small successes, we have to get back to work to connect the cultural ambassadors of the past to today’s society. We must continue to tell our local history in inclusive ways, so the less desirable history of exclusion and erasure are not repeated. Figure 5. Existing memorial to Pyrrhus Concer, Southampton. Courtesy of Southampton Press. Figure 6. New historical marker honoring Pyrrhus Concer, Southampton, author’s photo. PCAC continues to advocate for Pyrrhus Concer’s legacy. A primary goal will be to resurrect his homestead in some way. By using the original house timbers to reconstruct the house, to the degree possible and preferably on its original same site, we could in a sense re-erect his legacy. The structure would then be dedicated to learning from his life as a testament of character, integrity, and freedom. The Town of Southampton has now expressed a commitment to help achieve this goal as well. In the critical coming months PCAC will continue to raise funds and seek involvement with the Town of Southampton in the planning phases of what will become of the Concer site going forward. A virtual presence through social media will be developed for the PCAC as a means to communicate with the greater community. We will actively seek private and public support to aid with rebuilding Pyrrhus Concer’s last known home–51 Pond Lane. A special acknowledgment and thanks to the Long Island History Journal for its dedication to telling the history of all Long Islanders. I would also like to thank Jenna Coplin and Allison Manfra McGovern. A very special thanks to PCAC and our supporters and congratulations to the other contributors of this special issue. Grania Bolton Marcus, Discovering the African American Experience in Suffolk County, 1620-1860 (Mattituck, NY: Amereon House, 1995), 12. 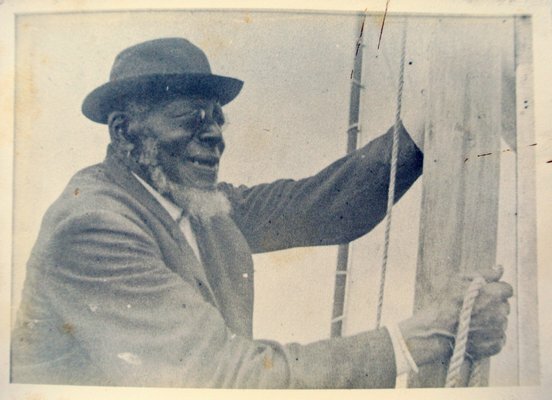 Floris Barnett Cash, “African American Whalers: Images and Reality,” Long Island History Journal Vol. 2, No. 1 (Spring 1989), 41-52. Patricia C. McKissack and Fredrick L. McKissack, Black Hands, White Sails: The Story of African American Whalers (New York: Scholastic Press, 1999), x.
Joysetta Marsh Pearse, Pyrrhus Concor, Born Free (Freeport, NY: TAAGS, 2014), 3. Warren Hoffnagle, “The Southern Homestead Act: Its Origins and Operation,” Historian 32 (August 1970), 612-629. Erin McKinley, “Concer House Property Owners Place Parcel on Market, Abandon Building Plan,” The Southampton Press, January 12, 2015. Find the article here. Carey London, “Southampton Town Board Approves Purchase Of Pyrrhus Concer Property,” The Southampton Press, July 14, 2015. Find the article here. Margalynne Armstrong, “African Americans and Property Ownership: Creating Our Own Meanings, Redefining Our Relationships,” Berkeley Journal of African-American Law and Policy 1(1), 1994: 79-88. Brent Leggs, Keri Rubman, and Byrd Wood, Preserving African American Historic Places (Washington D.C.: National Trust For Historic Preservation Report, 2012. Cheryl I. Harris, “Whiteness As Property,” Harvard Law Review, 106(8), 1993. Kimberle Crenshaw, Neil Gotanda, Gary Peller, and Kendal Thomas, Critical Race Theory: The Key Writings That Formed the Movement (New York: The New Press, 1995).